The word 'Yadnya' means a holy fire where oblations and offerings are given while chanting hymns contributing to the moral and spiritual upliftment of the society. True to our name, we are offering our time, money and knowledge to the holy fire of financial literacy in India. Gaurav is associated with Financial industry since last 5 years and before Yadnya, was working as Account Manager for a top IT company in USA. He has expertise in Financial Planning, tax planning and Mutual Funds. Co-Author of '108 Q&A on Mutual Funds & SIP'. He is MBA from IMT Ghaziabad and has a Diploma in strategic finance from ICFAI. He is SEBI Registered RIA. Parimal has been associated with Financial industry since last 12 years. His expertise is in Wealth Management, Personal Finance and Retirement Planning space. He has provided Investment Management and Financial Planning services for hundreds of clients in last 8 years. Author of '108 Q&A on Mutual Funds & SIP'. He is MBA from IMT Ghaziabad. 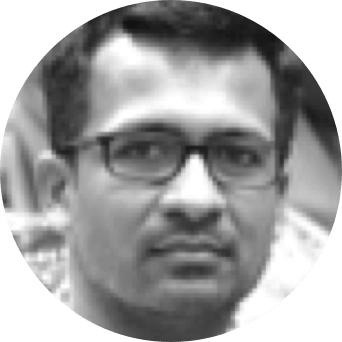 Santosh is an entrepreneur with a zeal to excel in defining and developing top quality software products. 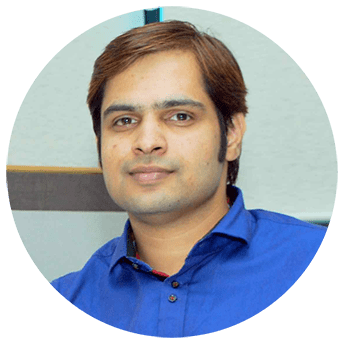 He started the company JAWK Softwares LLP in 2011 and has been helping companies succeed in their digital strategy by delivering high quality software products. He has innovative approach to software development which leads to making reusable components with the latest and best technologies. To educate and simplify concepts of personal finance for every Indian! We are amalgamating technology with our financial planning expertise to help you meet your financial goals. Why Financial Planning is Important? It is your hard earned money. You should make it work for you and create an alternate income option! Just look at the dozens of Ponzi schemes unearthed in the last ten years from pseudo-chit schemes, to fictitious teak and orchard schemes, to money-laundering gigs masquerading as deposits, there's been no dearth of rackets. Our experience says, learning personal finance is as critical as learning alphabets. The financial markets are always in flux with new rules, products and risks cropping up as markets evolve. So as an investor, it is important to be aware of these developments and know what to look for in the assets you plan to invest in! "Major problem in personal finance industry is lack of trust between advisor and investor. Trust is the glue our relationship. It's the foundational principle that holds our company. You will always find us taking first step and Trust you completely." "Degrees are important and so is personal finance education. They are both equally important but education institutions are forgetting one of them!" "If a man empties his purse into his head, no one can take it away from him. An investment in knowledge always pays the best interest."